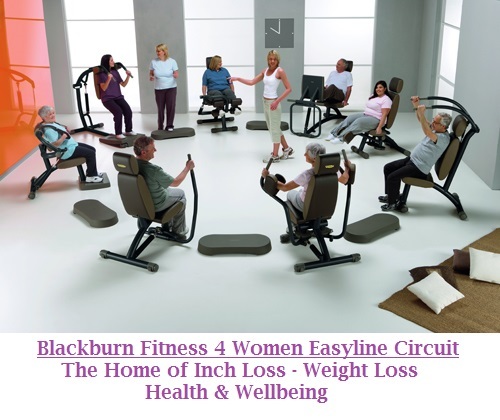 Blackburn Fitness 4 Women has been designed to fill a niche in the local market. With such affordable rates and members currently ranging from 16 to 87, Blackburn Fitness 4 Women aim to encourage as many ladies as possible to experience and embrace fitness, health and well-being. Blackburn Fitness 4 Women are proud to present a friendly non intimidating fitness centre which caters for ladies of all ages and fitness levels all under one roof. At Blackburn Fitness 4 Women we understand it's not easy to take the first step towards getting fit, especially if you've never visited a fitness club before. That's why we offer exceptional customer service & do everything we can to make you feel at home. From friendly staff supporting you on the fitness circuits, group fitness classes or just simply having a natter in the coffee lounge, we'll ensure you achieve your health & fitness goals in a happy, relaxed environment. Whatever goal you have set yourself in 2017 we will work with you to make it happen! Our members ages range from 17 to 87 years all working out in a friendly non intimidating ladies only environment. Whatever your health & fitness goals we can help every step of the way, going through your workout, nutrition, motivation & wellbeing. Book your FREE trail session today & see what we can do for you. Have a workout join a group class. Whatever your goal we are here to help! Want to know how to make a slimmer you without killing yourself? Want help with your goals and motivation? Want to exercise for two months for FREE? Want FREE personal training sessions? Want a FREE trial session for you and a friend? Call and find out how we can make this year, your year to acheieve your Inch Loss goals! Better in myself and have more energy, inch loss more energy and love to laugh in Belly dancing and Zumba! 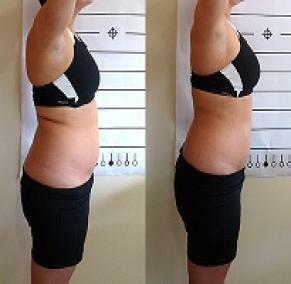 Thin :-) and more confident a loss of 13.5 inches WOW! Ladies 60 plus gym club? Think you are to old to exercise? Ladies think your too old to exercise? Well ladies think again, come down and join us on either a Wednesday afternoon or Saturday morning and try out our unique Motortone health and wellbeing circuit for FREE all you need to do is call 01254 699232 to book your FREE trial appointment and an instructor will introduce to the equipment we use and talk through all the benefits you can gain from working out on this fantastic equipment. Need to relax & sleep better? Need to get your feel good factor back? Need help to recover after an operation? Need to get fitter before you have an operation? Need to lose weight and get fitter? Need to find a gym that is just right for you? Need somewhere friendly to go for a brew and a chat with likeminded women? Our current oldest member is a spritely 87 years old, so what's your excuse? Call and see what our unique Motortone health & wellbeing circuit can do for you! Fantastic never expected it to work :-) Weight Loss & inches off my waist, legs and arms *Very Happy*! Much more confidence and have more energy, inch loss all over my body which is a good feeling! I lost 13inch's in just 6 weeks and I feel fantastic again, more energy, lowered blood pressure, love the equipment! 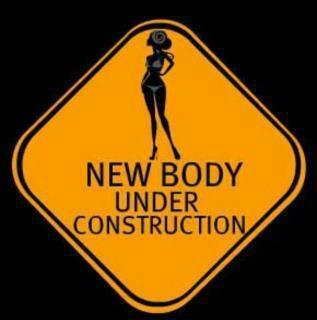 Ladies Only Fitness Centre ! Call Now On 01254 699232 and claim your Free One Day Pass! At Blackburn Fitness 4 Women, all you need to find is just 30 minutes, yes 30 minutes 3 times a week out of your busy work schedule! • The hydraulic equipment self-adjusts to your own level operating in a push and pull fashion, the harder you push the harder the exercise the slower you push the slower you exercise allowing you to workout at a pace that is comfortable to you. • As you begin to work through the circuit at a faster pace you will gain in confidence and increase your fitness levels whilst losing inches off the main areas of your body. Discover why ladies in their 40s, 50s and beyond are exercising for the first time of their lives with the unique Motortone Machines at Blackburn Fitness 4 Women. Well here it is ladies, 10 amazing armchair exercise machines designed by fitness experts with the help and guidance of doctors, physiotherapists and sports therapists for ladies over 40, overweight, but suitable for ladies of all ages. Some of our older members or members who have recently undergone surgery, simply sit on and let the machines exercise them, gently manipulating tired, stiff muscles and joints to aid their mobility. 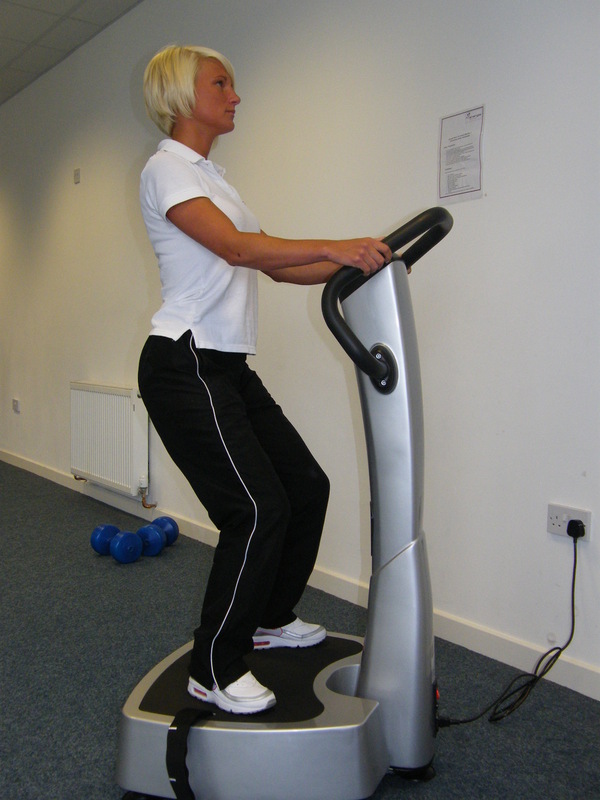 Motor assisted exercise machines do the work for you! Even arthritis and back pain sufferers can benefit!